Houses and apartments built before 1978 may have paint that contains high levels of lead (called lead-based paint). Lead from paint, chips, and dust can pose serious health hazards if not taken care of properly. 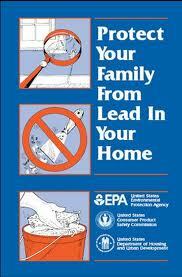 This brochure contains many helpful tips on how you can protect your family from lead in your home.